renewalskeptics 24th June 2016 1 Comment on Why Renewal is Illegal? All the practitioners of modern, scientific medicine need to register themselves with the Medical Council. Section 21 of Indian Medical Council Act 1956 stipulates that the Indian Medical Council shall cause to be maintained in the prescribed manner a register of Medical Practitioners to be known as the Indian Medical Register which shall contain the names of all the persons who are for the time being enrolled on any State Medical Register. Accordingly, every state of the Indian Union has a State Medical Council that functions under the mandate of the State Medical Registration Act. The power is conferred on the State Medical Council to register Medical Practitioners in the register of medical council on the basis of the specific provisions prevailing in the Indian Medical Council Act 1956. Karnataka Medical Council (KMC) is governed by the Karnataka Medical Registration Act, as amended in 2003. KMC on its own cannot make any laws or rules. The power is conferred on the Karnataka Medical Council to register medical practitioners in the register of medical council as per section 13 of the Karnataka Medical Registration Act 1961 and such right was prescribed under Karnataka Medical Registration Act 1961 in view of the provisions prevailing in Section 21 and 23 of the Indian Medical Council Act 1956. Conjoint reading of the provisions of the Central Act, so also, the State Act makes it clear that any Medical Practitioner having correct description of his qualification shall be entitled to apply to registrar of Karnataka Medical Council to enroll himself as a Registered Medical Practitioner under the Karnataka Medical Council; once such entry is made in the state register, name of such practitioner shall also be entered in the Indian Medical Register as per Section 21 and 23 of the Central Act. It is very clear from the provision of the Central Act and State Act that the provisions nowhere state that the registration of such practitioners is temporary one. The Karnataka Medical Council has been offering and accepting applications for permanent registrations, taking fees and issuing receipts for permanent registrations and issuing certificates stamped as ‘PERMANENT’. Section 13 of the Karnataka Medical Registration Act 1961 and Section 39 of the Karnataka Medical Registration Rules 1963 stipulate payment of fee of Rupees Fifteen for registration. Section 19 of the KMR Act of 1961 and section 43 of KMR Rules 1963 regarding renewal of registration stipulate that each medical practitioner shall pay to the Medical Council cheap jerseys on or before the thirty-first day of December of every year, a renewal fee of two rupees for the continuance of his name in the register. However, as many practitioners used to falter in paying this annual fee, KMC on its own, started collecting fee of Rs. 97 and above (plus Rs 20 for registration) as Permanent Registration Fee and started issuing registration with life time or permanent validity. Registrations done before 1984 were re-stamped with validity of 25, 50 or life time, after collecting suitable fee. This KMR Act of 1961 was amended in 2003 (Act 43 of 2003, notified in the State Gazette as No 1106 on Sep 16, 2003) In this KMR Cashel Act of 2003, Section 19 (1) Renewal of Registration reads thus: ..each medical practitioner shall pay to the Medical Council a prescribed fee on or before such date as may be prescribed for the continuance of his name in the register provided that the renewal of registration shall not be done unless the registered Medical Practitioner produces a certificates for having attended a continuing Medical Education program Doctors for not less than one hundred popul?ra hours conducted by an organization or institution recognized by the Medical Council. The Gazette Notification of the amended KMR Act 43 of 2003: the words ‘renewal every 5 years’ or ’30 CME Credit points’ are clearly missing in this amendment and KMC cannot insert these words on its own, that would need another amendment and another gazette notification. Until then, KMC cannot insist on 5 year renewal or 30 Credit Points. And such an amendment will not come. Therefore KMC has no legal basis at all for enforcing renewals. The Gazette Notification of the amended KMR Act 43 of 2003: the words ‘renewal every 5 years’ or ’30 CME Credit points’ are clearly missing in this amendment and KMC cannot insert these words on its own. By way of amendment, words ‘Every year’ in Section 19 of Principal Act have been removed. Proviso to amended Act further states that ‘renewal of registration shall not be done unless the registered Medical Practitioner produces a certificate for having cheap nfl jerseys attended a Continuing Medical Education program for not less than one hundred hours conducted by an organization or institution recognized by the Medical Council’. However, amended Act is silent about time frame for payment of the prescribed fee and also for submitting the certificate of attendance in Continuing Medical Education program. Further, reading of Section 31 and 32 of the Act further makes it clear that it is the state government which alone can frame rules in that regard by causing notification in the official gazette. Hence, except Section 15 of the Act, no other provision of the Karnataka Medical Registrations Act provide for revocation of registration of certificate once issued in favor of the Medical practitioner. According to Section 15 of the State Act, such removal Fire is possible only if misconduct of the practitioner is proved HTML on enquiry. And until the prescribed fee is determined by the state Government by causing gazette publication, amended provision of the Act cannot be given effect. As the practitioners have already paid the permanent registration fee, the council cannot disturb the registration of the Medical practitioner whose name is already enrolled in the register. The council being the statutory body is bound to honor the certificate it issued earlier. Hence, entire claim of the council regarding the need to renew the registration is barred by principles of estoppels. Further, if the ‘proviso’ to amended Act of 2003 (section 19 of amended Act) is made effective by publishing gazette notification, Renewal same shall be unconstitutional and could be challenged before the court. Therefore, enforcing any such renewal is illegal and invalid. It is therefore clear that none of the assertions of the KMC, posted on earlier occasions or published in the Public Notice of May 26, 2016, have been either approved by the legislature or published in the gazette. KMC, being a statutory organisation, must not only follow the statutes, but also follow the procedures. KMC must issue official notification on the gazette with the consent of the wholesale jerseys goverment and must send official letters to every registered doctor. KMC has never issued any such notification or letters until now. Therefore, none of these measures are cognisable. Therefore, the existing permanent registration remains legally valid and we must retain it. The so called temporary registration for 5 years is legally invalid and we must not get it. With CME Credits now abandoned by KMC, the smart cards are also of no use and no one should not waste any money for it. Therefore, DO NOT RENEW, DO NOT GET A SMART CARD, DO NOT PAY. 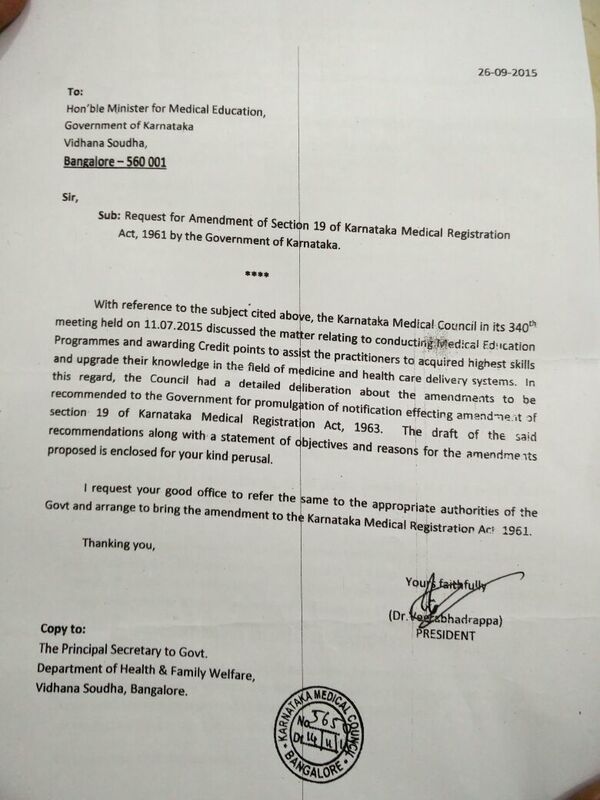 Therefore, at present, Karnataka Medical Council cannot go ahead with the renewal with CME Credits. It can happen only after the amendments permitting such renewals are passed by both the houses of Karnataka legislature, sitting for 30 days of session consecutively, and after such an amended act gets the nod of the President of India and gets notified in the gazette. Even after all that, such renewals can apply to only prospective registrations, and not to the existing permanent registrations. As we know it, such an amendment will never see the light of the day.